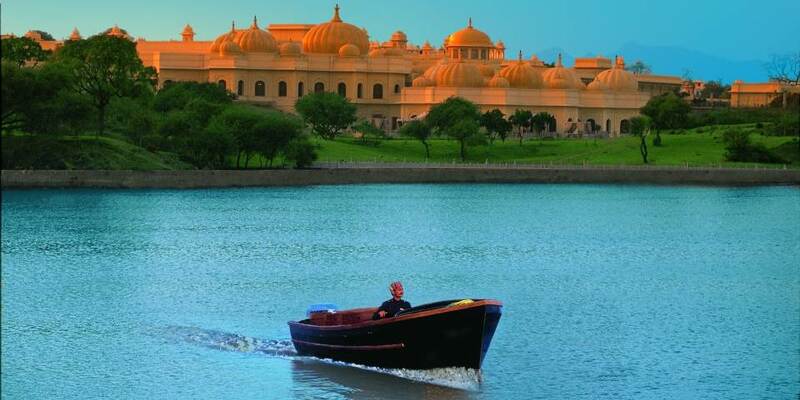 The majestic city of Udaipur in the heart of Rajasthan is a wonder of palaces and lakes. 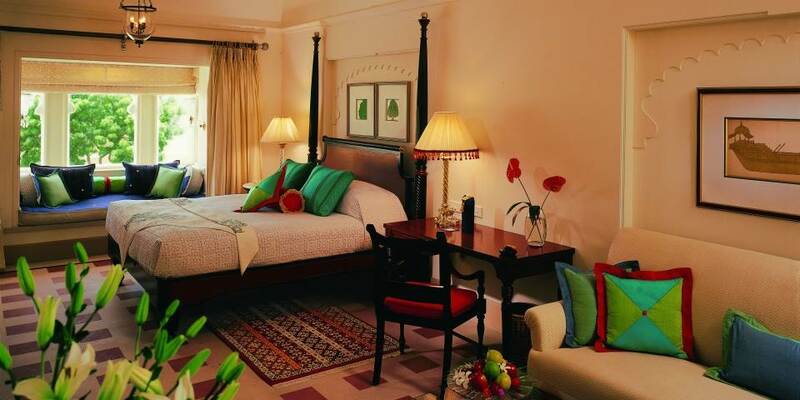 Set on the banks of the beautiful Lake Pichola with views across to the magnificent City Palace is The Oberoi, Udaivilas. The arrival experience is an enchanting boat ride, which transports guests to a ceremonial welcome. Venture from the hotel cross the lake and visit Udaipur, City of Dawn, see the magnificent City Palace built in 1725, visit the beautiful Jagdish Temple and then take a walk through the bustling old part of the city to see fruit and vegetable markets and farmers selling their produce, maybe try tea at a local vendor. Visit the renowned Mewar School of Art to hear the history of miniature painting, have a painting class and bring out the inner artist with a miniature painting session. Return to the hotel and relax or burn off excess calories in the state of the art gym or swim in either of the two beautiful pools; one set amidst a large green courtyard, the other at the luxurious spa overlooks the lake. The Spa is where body and mind are provided with a serene and truly unforgettable experience of pure pampering and relaxation in beautiful surrounding. Holistic therapies drawn from Ayurveda along with rejuvenating therapies will soothe senses and restore vital energy. This resort offers an experience created exclusively for those who know there is nothing like too much luxury. 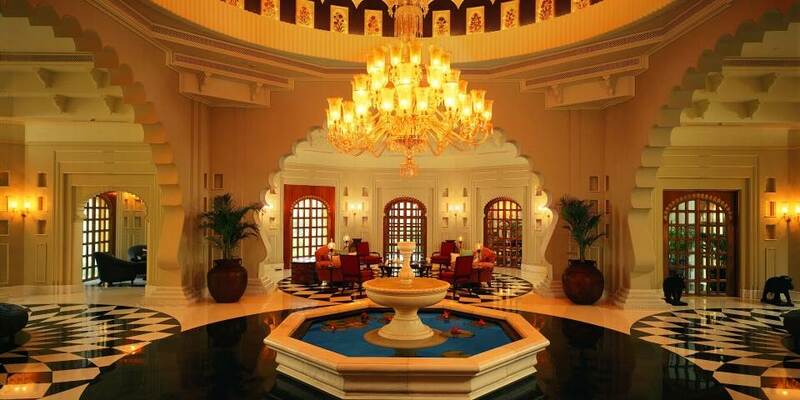 The architecture is inspired by the palaces of Rajasthan with rambling courtyards, reflection pools and verdant gardens. Interiors are embellished with decorative domes, hand painted frescoes and intricate mirror work, all combining to create an ambience of regal splendour. At the first level are 63 richly appointed Premier Rooms, all with private walled courtyards, complete with silken parasols, inlaid furniture and marble bathrooms. The 19 Premier Lake View Rooms open onto the beautiful semi-private moated pool that meanders past the terraces. Luxury Suites are elegantly appointed with original artworks, hand woven fabrics and offer breathtaking views, they also have the added luxury of a private pool, steam room and outdoor-tented dining pavilion. 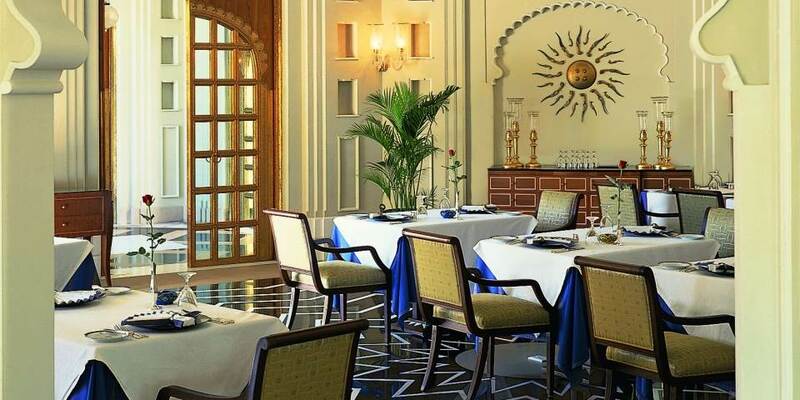 The jewel in the crown is the palatial Kohinoor Suite. Luxuriate in the opulence of this royal retreat with a choice of one or two bedrooms, a spacious living room and dining room with fireplaces, fountained courtyards, garden terraces and a 60 ft. private pool. 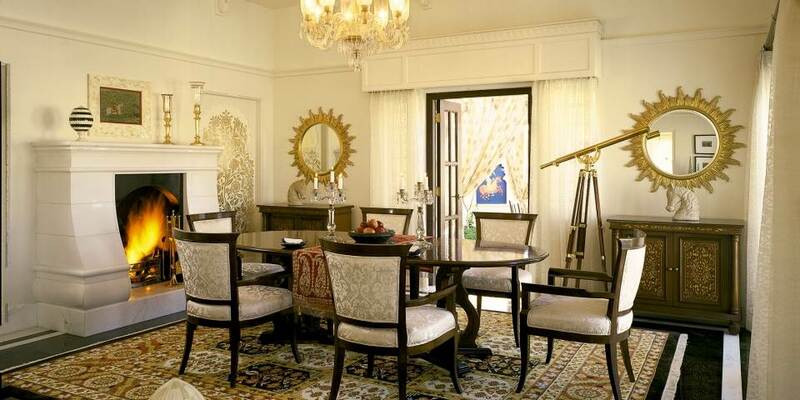 The suite offers stunning views of the Aravalli Hills, City Palace and Lake Pichola. The master bathroom features a huge freestanding bathtub, steam room, sauna and separate shower.